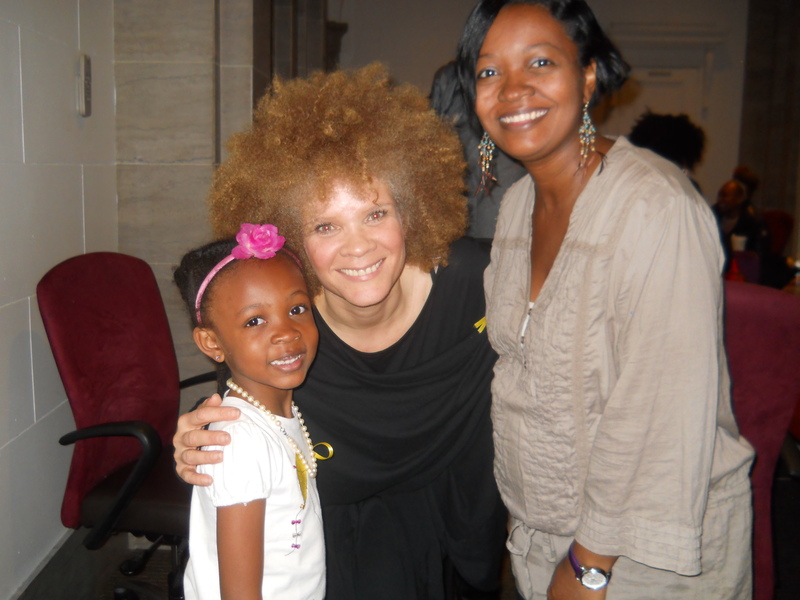 I had the wonderful opportunity to interview and observe the “Get Fly:Presentation as Power” workshop led by Michaela angela Davis as part of the 5th Annual Sista-2-Sista Youth Summit produced by Gye Nyame Empowerment Project (GNEP). Here’s what I learned about Michaela. Michaela during the “Get Fly” workshop. Photo by Jen Theat. L-R: Dawn, my assistant and daughter, Michaela and me. 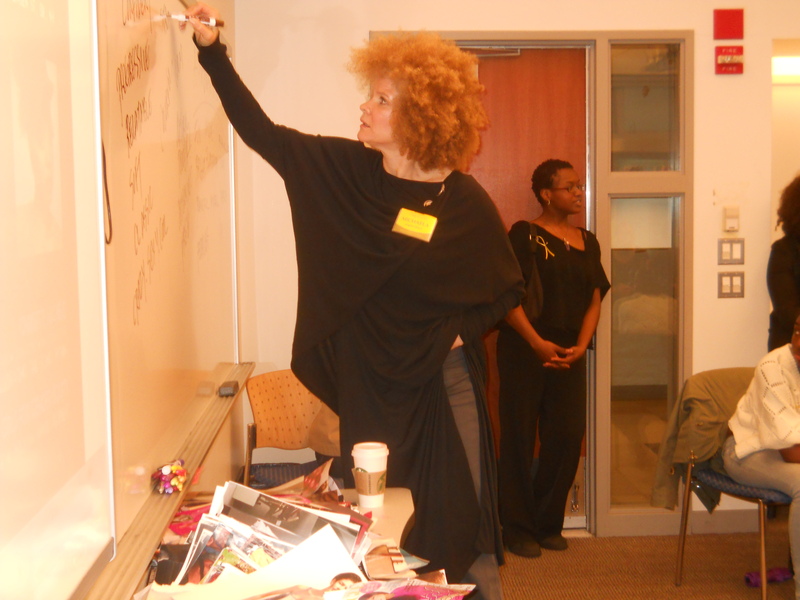 Image activist, Michaela angela Davis, has been a celebrity stylist and has held fashion and beauty editorial positions at Essence, Vibe, and as editor-in-chief of the now defunct, Honey magazine. She describes the closing of Honey as “heartbreaking,” especially since it was the most successful women’s magazine for two years straight. Michaela now dedicates her time to the mentoring organization, Shine and MAD Free, an organization which facilitates conversations about beauty, image and power by women of different generations. 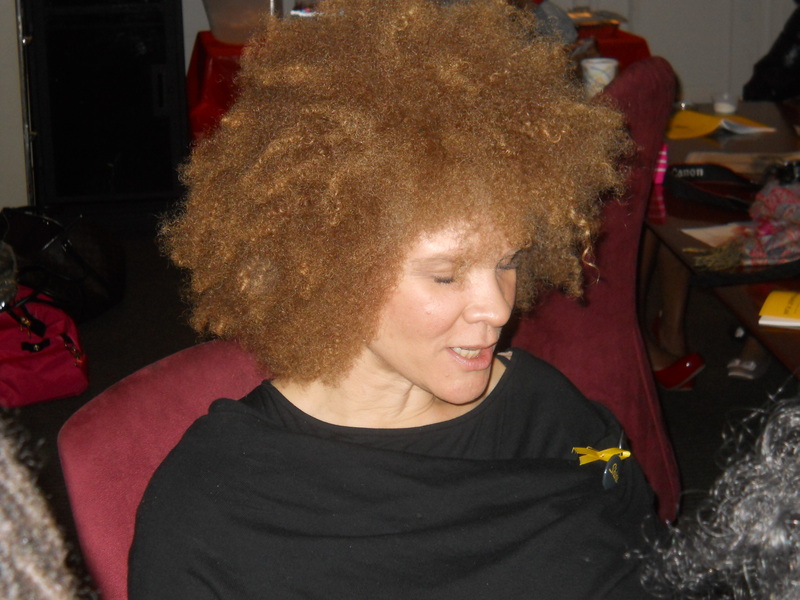 Michaela angela Davis demonstrates to teens and young women that it’s cool to celebrates differences, because they can be an asset. Michaela has been a stylist, editor, and mentor, I can’t wait to see where her evolution will take her next.